1. 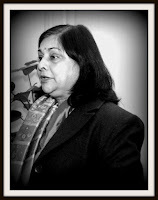 After retiring as union secretary of DoPT, Ms Sirohi took oath as UPSC Member in January 2012. And the next four months, till January 3, 2017, she will be heading the UPSC. 2. A 1974 batch IAS, Sirohi originally hails from Uttar Pradesh. 3. She belonged to Madhya Pradesh cadre and was assistant collector in Gwalior district. 4. She served as district magistrate of Dewas district of Madhya Pradesh. 5. At the Centre, she worked as Director General of Bureau of Indian Standards and additional secretary in the department of consumer affairs. 6. She was credited with handholding in designing of a famous consumer affairs campaign —Jago Grahak Jago, which was both telecast in TV and broadcast in All India Radio. 7. She first became union secretary in the department of food and public distribution before the government laterally transferred her as secretary in the department of personnel and training (DoPT). That was the period when anti-corruption legislations were drafted. 8. 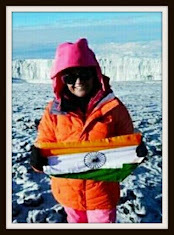 Ms Sirohi completed her schooling at St. Mary's Convent, Nainital and then got enrolled in Loreto Degree College, Lucknow. She did her post-graduation in history. 9. Her husband RS Sirohi is her batch mate and a retired IAS. 10. Apart from being trained in classical Hindustani music, she is also an occasional painter.